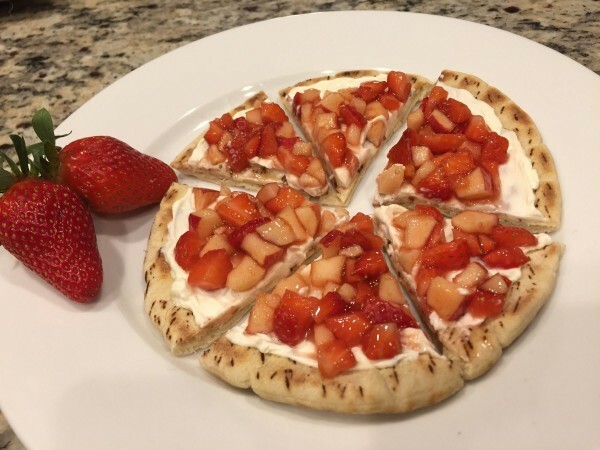 Dairy and Berries: Valentine's Day Recipes For A Perfect Pair | Winners Drink Milk! Moooove over cheesecake. Dietetic Intern, Amanda Propes shares some of her favorite Valentines Day recipes. 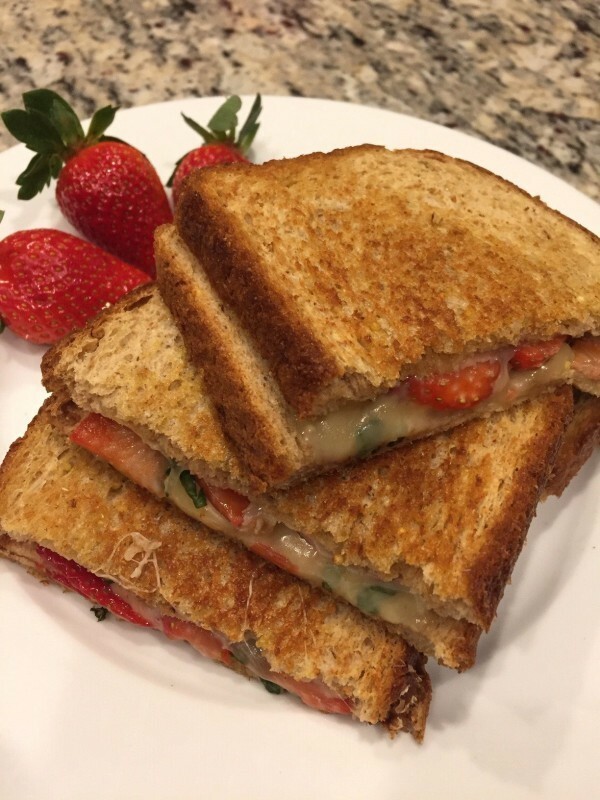 Dairy & Strawberries are a perfect match for Valentine’s Day! Looking for a healthy and fun Valentine’s Day dish? Here are some easy recipes inspired by our love of dairy and this beautiful red fruit. Traditionally, Valentine’s Day is marked with lots of sweet treats, but these lighter versions will make your heart sing! Literally- as February is also American Heart Month, your heart will be happy. As a part of a heart-healthy diet, low-fat dairy is packed with calcium and protein while strawberries provide vitamin C and fiber. What a duo! Surprise the one you love with this thoughtful breakfast, bursting with whole grains. 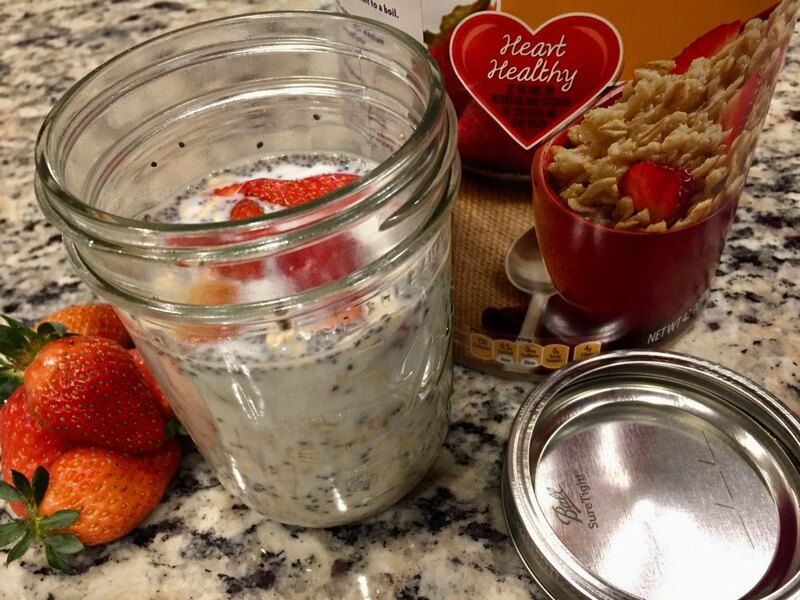 Combine all dry ingredients in 1-pint mason jar or bowl. Add honey or maple syrup. Top with milk and refrigerate overnight. Enjoy cold or warm! Place pita breads in skillet on medium for 2-3 minutes on each side. In a small bowl, combine strawberries, apples, lemon juice, strawberry jam and cinnamon. Spread cream cheese on toasted pita breads. Top with fruit mixture. Slice and serve immediately! To add some spice to your life, consider this savory twist… oh la la! Brush olive oil on one side of each slice of bread. Place two slices of bread in skillet on medium heat. Top each with one slice of Havarti cheese. Add strawberries, basil, and balsamic glaze. Add the second slice of cheese. Top with slice of bread. Grill 4-5 minutes on each side. Slice and serve warm! When you need a guilt free Valentine’s Day dessert that will be adored. Mix strawberries with confectioner’s sugar. 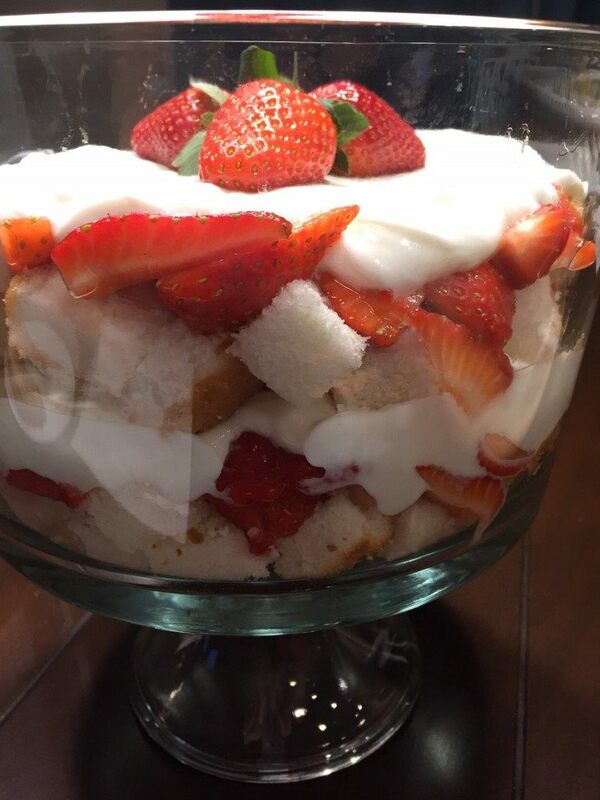 Layer ½ angel food cake, ½ strawberries, and 1 cup of yogurt in trifle dish. Repeat a second layer. Garnish with 3 strawberries on top. Serve immediately or chill for later.